The Building America Partnership for Improved Residential Construction (BA-PIRC) team, formerly known as the Building America Industrialized Housing Partnership (BAIHP), is a university-based Building America team competitively selected for funding by the U.S. Department of Energy, Office of Energy Efficiency. BA-PIRC is an industry-driven, cost-shared research program. Its goal is to accelerate the development and adoption of advanced building energy technologies and practices in new and existing homes. BA-PIRC works closely with industry and utility partners throughout the United States to develop innovative, real-world solutions that achieve significant energy and cost savings for homeowners, builders, and remodelers. The Central Florida Clean Cities Coalition is sponsored by the U.S. Department of Energy and exists to promote the reduction of oil and gas wherever possible. The Coalition supports sustainable transportation practices, through efforts to advance deployment of alternative fuel technologies, mass transit projects, and fleet optimization measures. The Central Florida Clean Cities Coalition area encompasses 10-counties, consisting of Brevard, Flagler, Indian River, Lake, Okeechobee, Orange, Osceola, Seminole, St. Lucie and Volusia Counties. 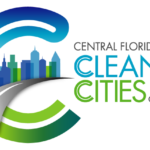 Central Florida Clean Cities strives to improve air quality, increase U.S. national energy security, and promote economic opportunities in Florida. The Coalition provides a forum for members to leverage resources, develop joint projects, work together on public policy issues, promote clean air technologies, and the reduction of oil and gas in Florida. Central Florida Clean Cities has experience in building and paving the way for public and private stakeholder groups, conducting technical education and outreach programs, and managing alternative fuel programs. The Electric Vehicle Transportation Center (EVTC) is a U.S. Department of Transportation-funded University Transportation Center. It is a research and education effort to help create the nation’s electric vehicle transportation network. The EVTC is bridging the gap between electric vehicles and the traditional transportation system. The EVTC’s research, education and its related projects help prepare the U.S. transportation system for the arrival of electric vehicles into a sustainable transportation network. At the same time, however, EVTC seizes the opportunity these vehicles present to help update the electric grid. Electric Vehicles (EVs) provide the unique capability of being able to store energy. As a result, an EV can both use and supply energy to the nation’s electric grid. The future use of “smart-grid enabled” equipment will feature real-time, two-way communication. It will be capable of providing live network access and the ability to remotely control both the transportation network and the electric power grid. The Electric Vehicle Transportation Center is a comprised of transportation and energy experts from the University of Central Florida (UCF), the University of Hawaii, and Tuskegee University. Led by UCF, the EVTC program conducts research, educates students, transfers technologies, and forms partnerships with manufacturers, suppliers, utilities and governmental agencies. The EVTC’s primary goal is to accelerate EV acceptance and adoption. EnergyGauge is a family of user-friendly software tools that allow simple, yet detailed performance-based analysis of building energy use. It also performs economic analysis of proposed energy improvements. EnergyGauge is a partner in the U.S. Environmental Protection Agency (EPA), ENERGY STAR® Homes program, and U.S. Department of Energy (DOE) Building America program. EnergyGauge is also an active member of RESNET and the national rating industry association. EnergyGauge is a UCF Success Story. Learn More: EnergyGauge: A UCF Success Story. The Foundations for Engineering Education for Distributed Energy Resources (FEEDER) center is a consortium of members. Led by the University of Central Florida, it includes universities, two national laboratories, eight utilities and 11 industrial companies. FEEDER will significantly advance power systems engineering capability in the United States. As one of four centers in the national network, FEEDER performs research, curriculum development, education and training activities. It aims at widespread adoption of distributed renewable energy resources and smart grid technologies. The FEEDER Consortium is funded by the Office of Energy Efficiency and Renewable Energy (EERE), and the U.S. Department of Energy, which is under the GEARED (Grid Engineering for Accelerated Renewable Energy Deployment) program. This national network of centers supports power systems training and curriculum development. It supports growth and expertise in power systems through research and development, data generation, collection, analysis, and/or simulation. Go SOLAR Florida is a U.S. Department of Energy (DOE)-funded program, and is part of the SunShot Initiative Rooftop Solar Challenge II competitive award. Its goal is to increase the use of and access to grid-tied solar energy installations, both residential and commercial. The program is reducing market barriers, lowering non-hardware related installation costs and providing access to financing options. Go SOLAR Florida partners have been working to reduce soft costs associated with rooftop photovoltaic (PV) solar system installation. As a result of this program, the Solar Plans Design System (SPDS) is now in use throughout Florida. This web-based, design plans system provides a uniform source of structural and electrical plans. It helps lower engineering design costs and the time required for design review. As a result, it speeds up the permitting process. The U.S. Photovoltaic Manufacturing Consortium (PVMC) is an industry-led partnership that helps the solar industry solve problems, seize opportunities, and accelerate development to reduce time to market. PVMC provides solutions to solar energy’s most pressing challenges through a simple formula: collaboration, innovation and excellence. PVMC helps industry invent solutions to accelerate solar innovation. Since their founding, PVMC has evolved with the rapid increase of the solar industry. It serves collaborative consortia groups, spanning the entire solar value chain, ranging from materials characterization to system interconnection and operation. As a result, the project portfolio is diverse and deep. The PVMC has the ability to service clients whose needs include: consulting, new product development, manufacturing and scale up, field validation, and grid integration. PVMC is part of an unmatched ecosystem for leading-edge R&D and commercialization. It that has more than $43 billion in investments, 300 corporate partners, and 4,000 scientists, researchers, engineers, students, faculty, and staff. The PV Regional Test Centers help to validate photovoltaic (PV) technologies in a range of different climates. The Florida Regional Test Center (FL RTC) is one of five PV test sites in the U.S. UCF’s FSEC operates the the center under the technical oversight of Sandia National Laboratories. Located on the campus of UCF, the FL RTC provides the physical and technical infrastructure needed to conduct validation testing for large-scale PV systems in a hot, humid climate. This testing data will help banks, insurance companies, and other stakeholders establish the confidence that new solar systems perform reliably in the field. The site can accommodate approximately 250kW of solar, with systems ranging in size from 10 to more than 100kW. In the event more capacity is needed, however, UCF has another site that can host ≤2 MW of power production. The SunSmart E-Shelter Schools program has installed more than 100 solar systems in more than 46 Florida school districts. For that reason, it has added more than one MW of combined photovoltaic generating capacity to Florida. In addition, the program’s education and outreach efforts have provided more than 350 teachers with professional development in science and the use of solar. A companion, inquiry-based curriculum rich in STEM (science, technology, engineering, and math) content encourages best-teaching practices. Through project-based learning, it enables students to solve problems using critical thinking and data analysis. The success of this project is largely due to the strong partnership between the U.S. Department of Energy, the State of Florida, the University of Central Florida, the Florida solar industry, and utilities. The Florida Department of Agriculture and Consumer Services originally funded this program through the American Recovery and Reinvestment Act of 2009 (ARRA). It includes additional funding from private and public utilities. The SunShot Initiative’s Solar Ready Vets® program connects our nation’s skilled veterans to the solar energy industry. This program prepares them for careers as solar photovoltaic (PV) system installers, sales representatives, system inspectors, and other solar-related occupations. 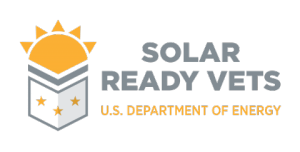 Solar Ready Vets is enabled by the U.S. Department of Defense’s SkillBridge initiative. It allows exiting military personnel to pursue civilian job training, employment skills training, apprenticeships, and internships up to six months prior to their separation. The Solar Training Network is a program of The Solar Foundation. It is funded by the U.S. Department of Energy’s SunShot Initiative. This program is designed to help meet the workforce needs of the solar industry through solar training and strategic employment partnerships. The Solar Foundation leads the Solar Training Network. Its experience includes years of thought leadership in solar labor market intelligence, education, technical assistance, and workforce development. The annual Solar Jobs Census is the Solar Foundation’s trusted, go-to resource for solar jobs information. Therefore, the Solar Training Network will tackle one of the key challenges identified in the Jobs Census series—the ever-increasing need for skilled solar workers. Drive Electric Florida is an organization made up of stakeholders working to advance the energy, economic, and environmental security of the state of Florida. It promotes the growth of electric vehicle ownership and its related infrastructure. In addition, Drive Electric Florida (DEF) supports and accelerates the adoption of plug-in electric vehicles (PEV) in Florida. It works to engage and educate the public, businesses, and policy-makers. In addition, it facilitates collaboration, and supports EV-friendly policy and programs. DEF industry representatives include automakers, infrastructure providers, environmentalists, local government, universities, Clean Cities coalitions, and leadership of PEV enthusiast groups. The University of Central Florida is one its founding members.